rakash Gaba of prakashgaba.com told CNBC-TV18, "I certainly like Ashok Leyland, that looks good to me. The way it is trading, it can really climb higher. I feel that Ashok Leyland can even cross all time high and go towards Rs 115 and Rs 120 zone. 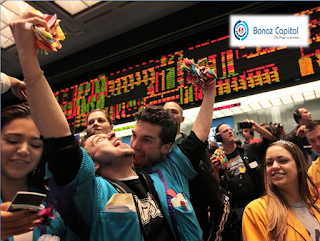 It has bounced from a very strong base." "Manappuram Finance can climb higher from here. Allahabad Bank looks okay to me, can climb to levels closer to Rs 73, keep stop loss below Rs 70. State Bank of India also is looking good and can climb to levels closer to Rs 278, keep stop loss below Rs 270," he said. Achiievers Equities' commodity report on Gold Gold trading range for the day is 28635-29031. Gold dropped amid a firmer dollar as markets waited to see if U.S. President Donald Trump will face hurdles on his economic agenda. Fed’s Kaplan said that the U.S. central bank should be moving "deliberately but patiently" to remove monetary policy accommodation. U.S. home resales fell more than expected in February amid a persistent shortage of houses on the market that is pushing up prices and sidelining prospective buyers. SELL GOLD APR 2017 @ 28800 SL 29050 TGT 28650-28480.MCX. Razorpay, a Bengaluru based online payments company today announced that it has won an award for its product innovation in the prestigious ‘The Innovation Project’ by PYMNTs.com, held at Harvard University, Cambridge on March 16, 2017. 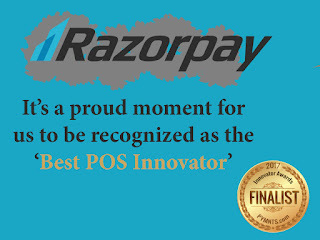 Razorpay won ‘Bronze’ in the ‘Best POS Innovation’ category for its ePOS app among other global competitors such as Alipay, Verifone, First Data and FIS. Getting to the final round involved weeks of deliberation by investors, payments industry experts and community voting. 26-year old, Harshil Mathur, CEO and Co-Founder of Razorpay, received the award on behalf of the company.